Collected from the pages of WHAT IF? DARK REIGN - THE OSBORN ASSASSINATION, WHAT IF? WOVLERINE: FATHER, WHAT IF? SPIDER-MAN and WHAT IF? 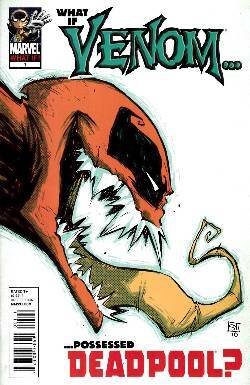 IRON MAN: DEMON IN AN ARMOR, the House of Ideas asks and answers: What if the Venom Symbiote possessed Deadpool? !